Ole! Happy Cinco de Mayo! Mexican food and margaritas are my favorite so Cinco de Mayo is one of my favorite holidays. This year I thought I’d try my hand at making a piñata! I’ve seen them a million times on DIY blogs, so how hard can it be? Well, it’s not exactly HARD but these suckers took a lot of time. 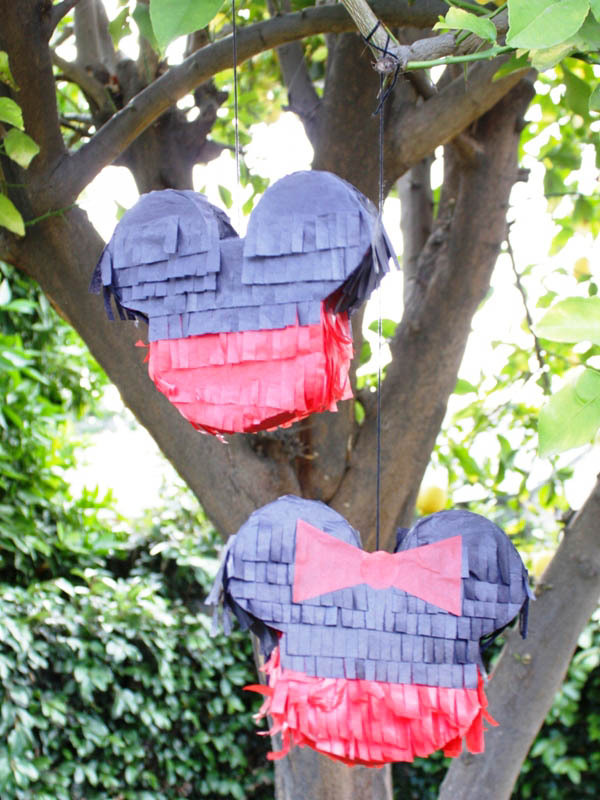 So if you have the patience and a free afternoon, you can have an adorable Mickey Mouse pinata of your own. 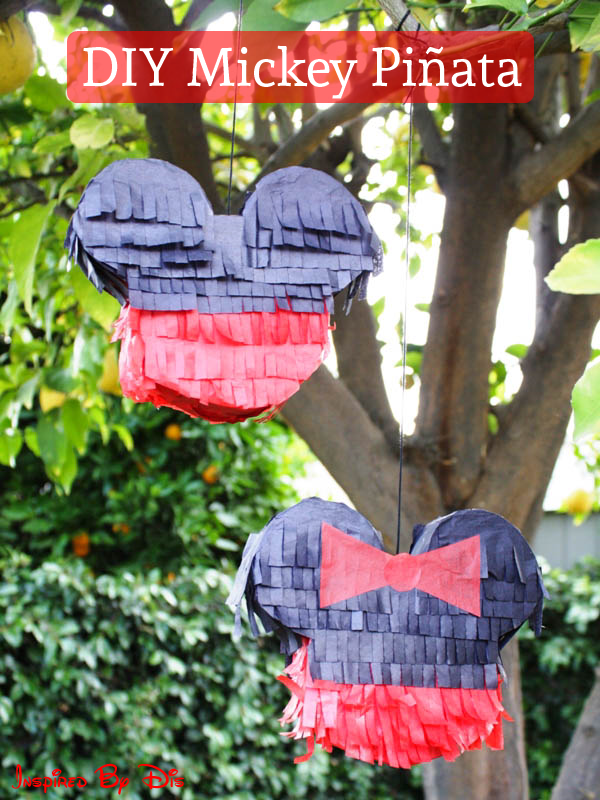 And it’s easy to make a Minnie piñata by just adding a tissue paper bow! 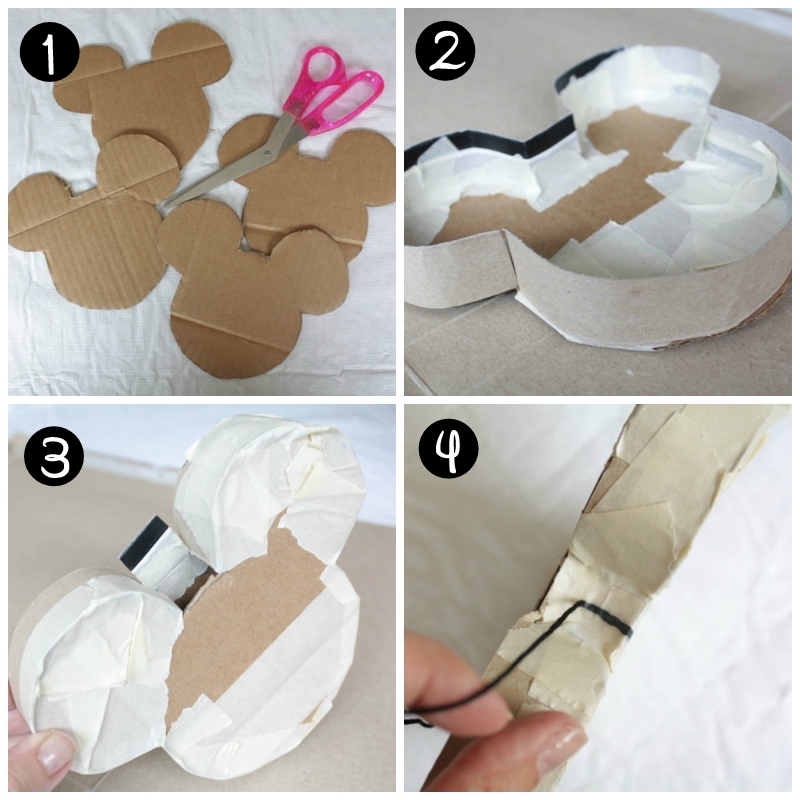 Step 1 – Using your Mickey head template, cut out two shapes from the thick cardboard. Here is a template you can use. You’ll need to enlarge this to get to your desired size. I did this by importing the image into MS Word and playing around with the size. Step 2 – Cut a 1″ – 2″ strip from the thin cardboard. Using the masking tape, tape it along the edge of one of the Mickey cardboard shapes. You can be as messy with the tape as you need to be, because all of this will be covered by crepe paper! 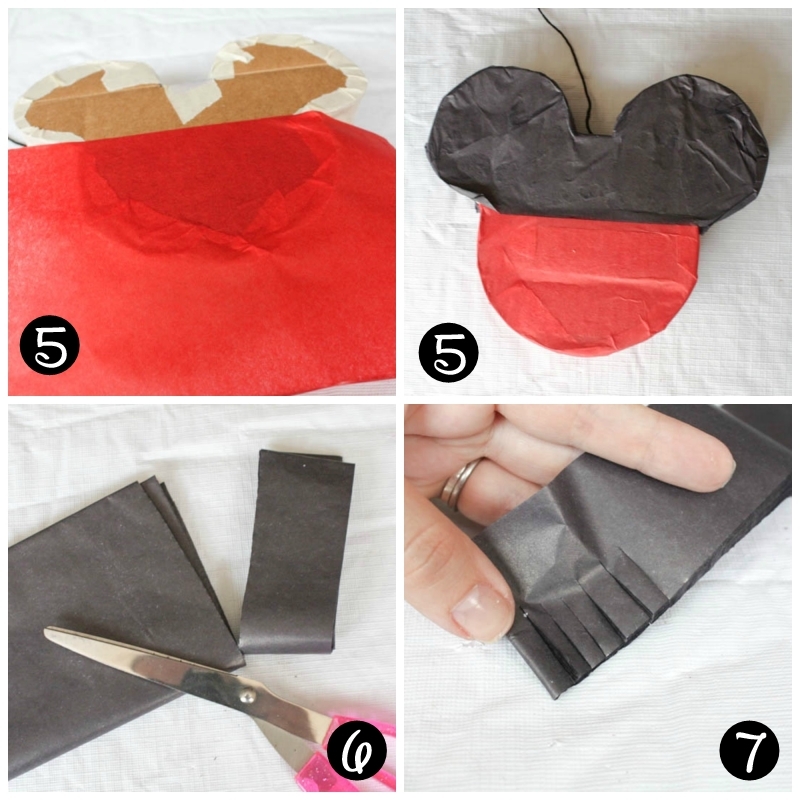 Step 3 – Tape the second Mickey card board shape to the thin cardboard, leaving a flap at the top for candy. 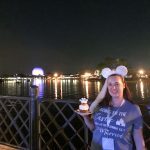 You should now have a Mickey shaped box. At this point, if you want, fill your pinata with candy, then tape the flap closed. Step 4 – Tape a piece of string to the top of the piñata (between the ears). 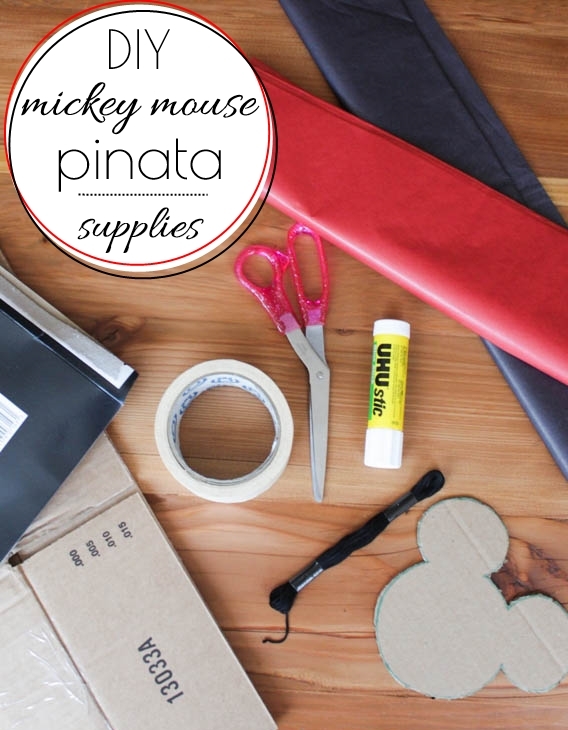 Step 5 – Cover the bottom of the Mickey box with red tissue paper (below the ears) and the top with black tissue paper. 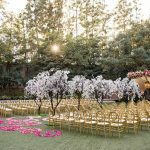 Again this can be messy because the majority is going to be covered with fringed tissue paper. Don’t cover the string! make sure you tape the paper down around it, but not on top of it. 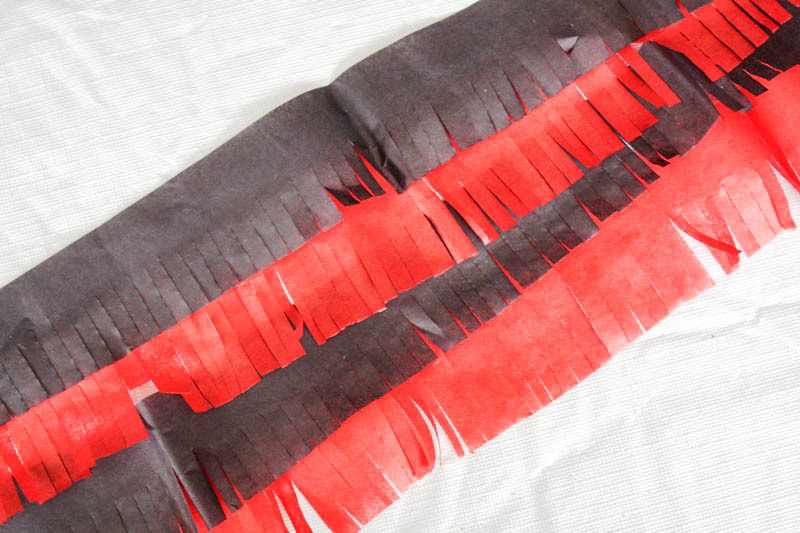 Step 6 – Now we are going to cut some fringe strips of tissue paper. If you’re using new tissue paper, it’s probably already folded lengthwise. Leave it folded lengthwise and cut a 2″ – 3″ strip off the end. Step 7 – While your strip of paper is still folded, use your scissors to cut fringe. When you’re done, unwrap the paper and you should have several strips of fringed paper. 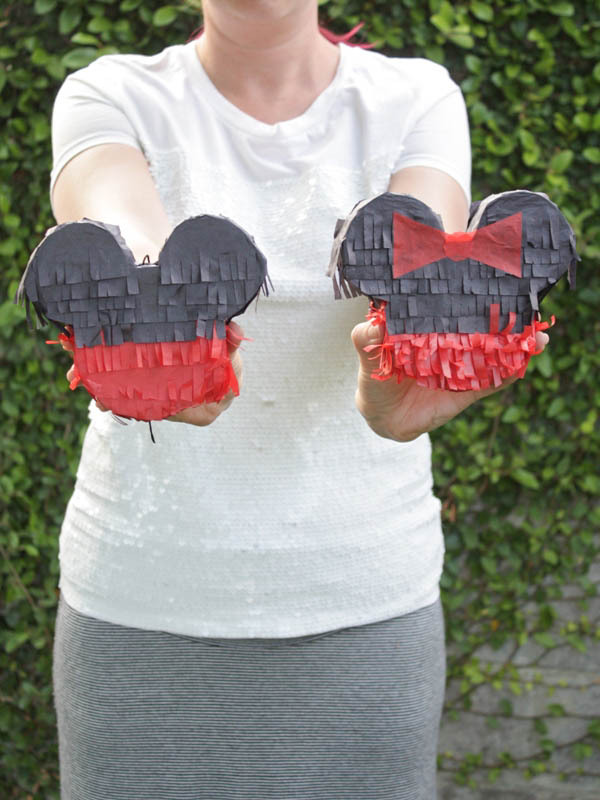 Step 8 – Use the glue stick to apply a strip of red fringe to the bottom of your pinata. Continue until the red section is covered. 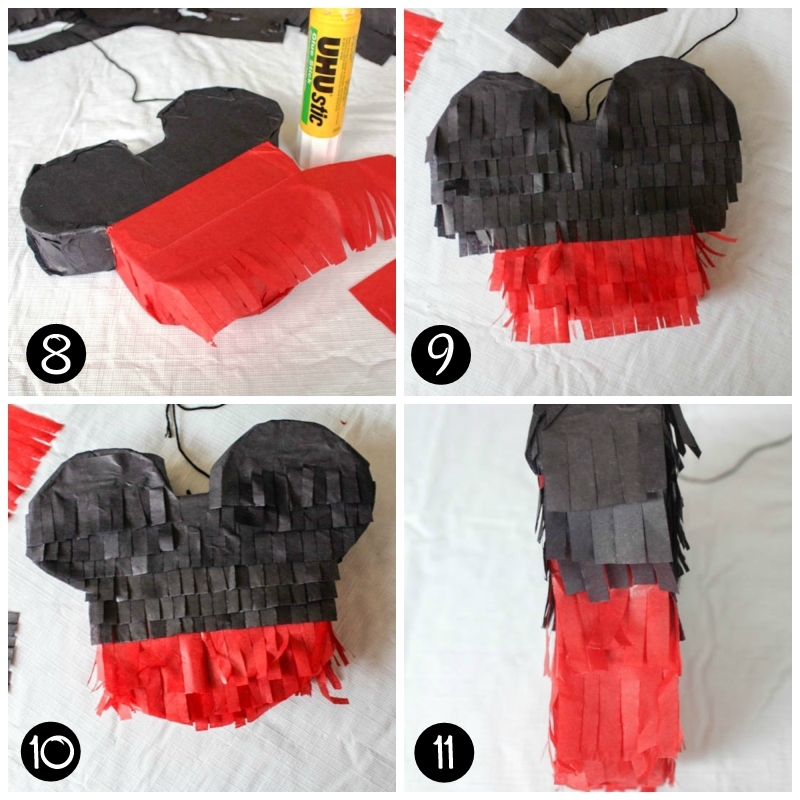 Step 9 – Use the glue stick to apply the strips of black fringe to the top of your piñata. The ears are a little tricky! 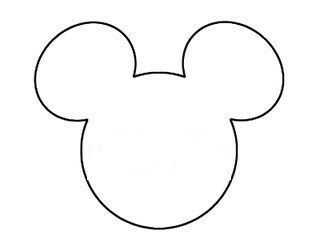 Step 10 – Trim the edges of the fringe along the Mickey shape. Like a little haircut! 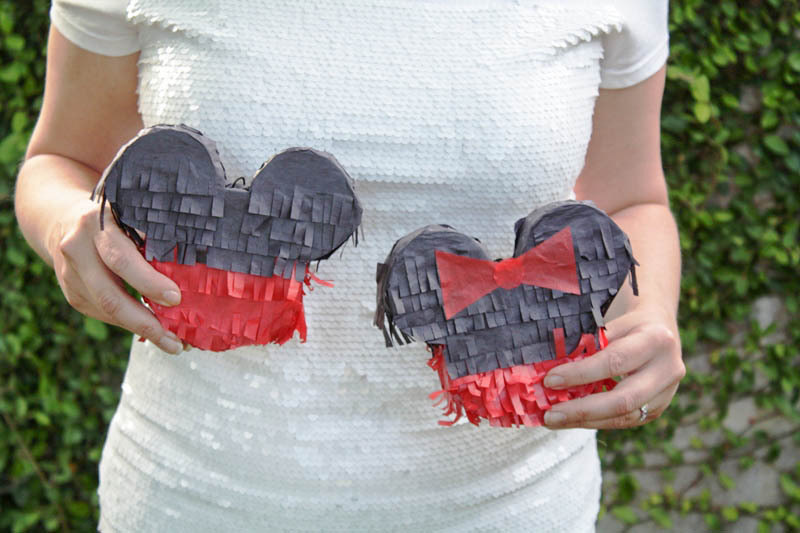 Step 11 – Add small strips of fringe along the side of your piñata. 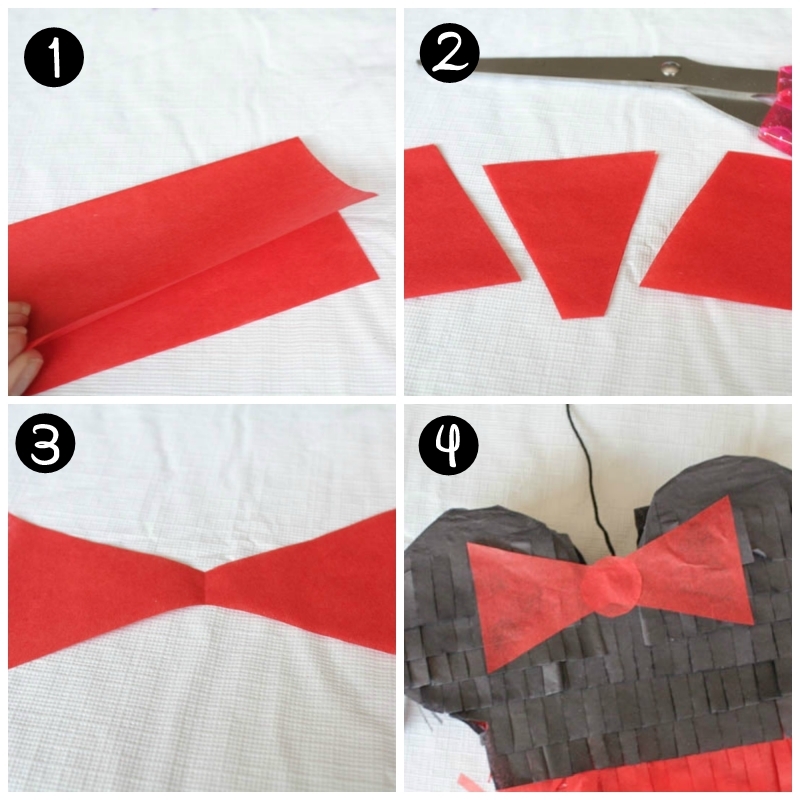 Step 12 – To make a bow for Minnie, fold a piece of tissue paper in half and cut a skinny triangle, leaving it connected at the fold. Unfold and you will have a bow shape. Cut out a small circle (I used the glue stick cap as a template) for the center of the bow. Repeat so you have two of each. Glue the bow to the piñata in the center below the ears. Glue the circle in the middle of the bow. Repeat on the other side. Hang your piñata outside. Enjoy then destroy! Although these guys may be too cute to smash. This is awesome and it better not have any candy inside, because I could never hit it. 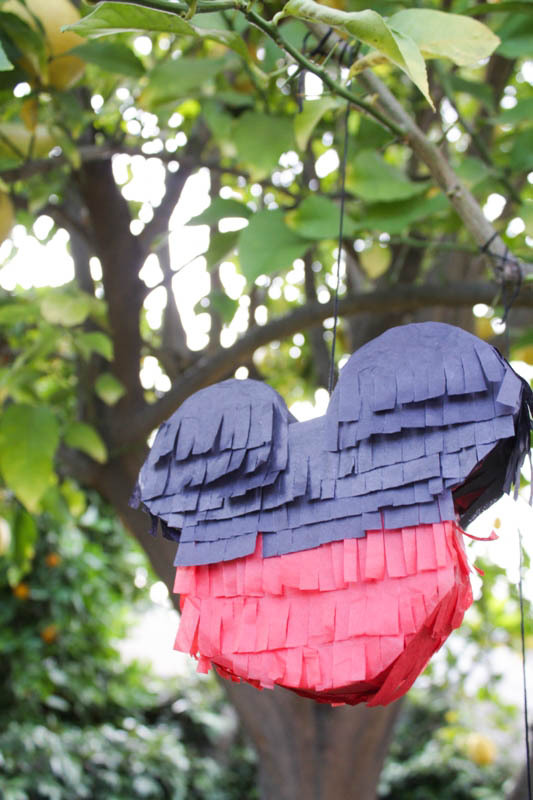 I love new party ideas and have always toyed with making a pinata! Thank you for this post and motivation! This is a great tutorial! Soooo cute! I’m sure I’ll use this in the future! These look so pro!! I hope you keep them dangling from your tree all year round. What a great idea! I’d be too sad to beat them up even if they had candy. Thanks for saying they look pro!!!!!! Made my day! 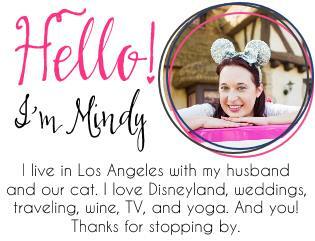 Really cute, Mindy! Will have to make for the littles! Wow Mindy you did an awesome job explaining and providing much needed details! I can tell that this is not your first DIY project . 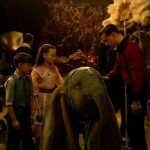 My question is, I’ve seen other piñatas made doing a similar approach but the kids couldn’t break through (using a wooden stick) the regular cardboard, have you had that experience? 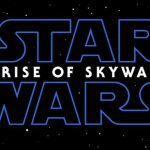 If so, aside from pulling the piñata apart (or using pull strings at the bottom) how are the kids able to break through the material? 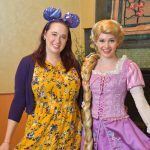 Hi Violetta! Great question. 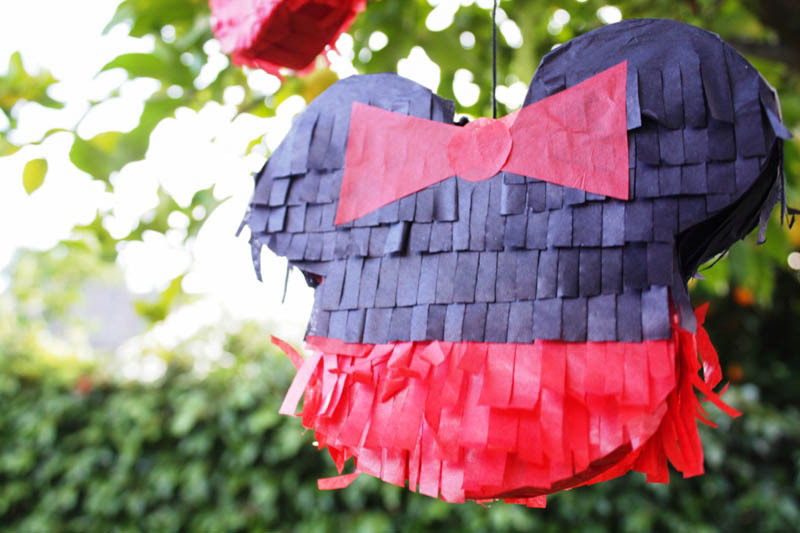 I made this more as decoration than an actual functional pinata (this particular one would be very small). I’m guessing it would be difficult for kids to actually bust. But, my experience with pinatas in general is this: Usually all the kids have a couple swipes at the pinata, then an adult steps in and really gives it a good wack, or perhaps an adult will tear the pinata a bit so the next wack makes it break open.